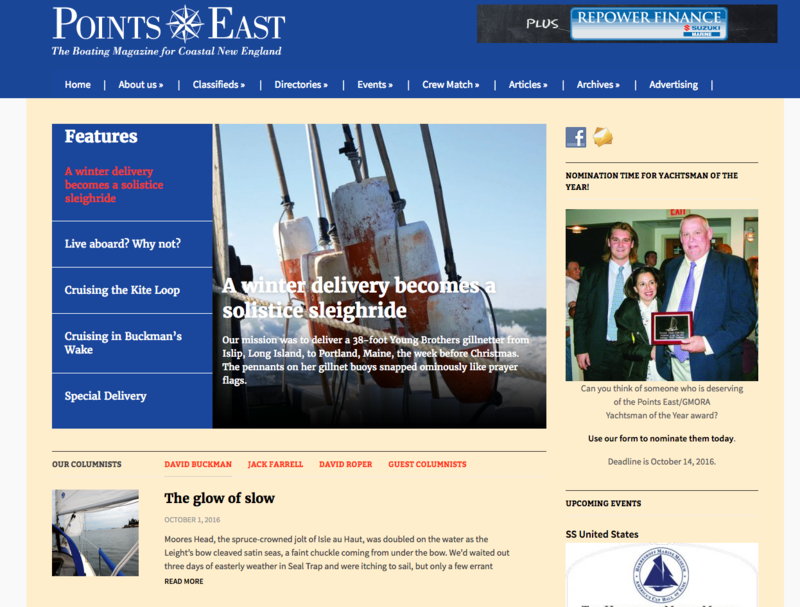 Points East Magazine is the voice of the New England boating and cruising scene. The magazine features reader-written tales of adventure, local columnists and regular coverage of waterfront news, racing action and construction and repair projects. The mobile-friendly website is highly interactive, featuring content from the magazine and expanding the magazine's mission with reader supplied classified ads, tide database and a system for matching boat captains with potential crew members.